Does your business either offline or online make use of a blog? Are you blogging for business? If you haven’t considered doing so, look over this post to see what you might be missing out on. Most people today make use of social media to attract people and that can lead directly lead to your blog. If you don’t blog you certainly should. Your new blog is one of the best online assets you will ever have, and for years to come. Some of these links are affiliate links. We always give out honest opinions on the products. These opinions are our own. No extra cost to you. Your blog is the central hub where people can learn about you and your business. Google “shoe business in Winchester” and various links are shown. Most will lead to a website, a blog or a website with a blog. Maybe even a video, with links back to their blog. A blog is updated regularly with information. Articles about the subject of the website. A site has static pages such as a home or contact page. Your blog is like your home where you invite people in to visit with you. When prospects check out a business opportunity there is usually a blog or website that they go to to find out more information on the opportunity they are interested in. There are two kinds of WordPress blogs. One is .com owned by WordPress. WordPress is free but you pay for the hosting of the site. The other is .org and you own that property. Most bloggers prefer to use the self-hosted WordPress.org. You are able to use a theme with it and add plugins to add diversity to your site. My hosting is with SiteGround. An article on this. Key aspects -what plugins do you need to install? Do you know how to configure them? Most people when blogging for business fail to do this on their blog and it sets them up for failure, right from the start. By doing it the right way the first time, you save yourself time, energy and a lot of money. I know because I did it the hard way. Learn from my mistakes by paying close attention to this blog. You will want to stand out from the crowd with your new blog. This is called Branding. A simple branding effect will set you apart from all the other marketers online. Do you know how to set up your blog to ensure that you not only get sales but ensure that you will get leads, as the top earners do? Business owners want results, that means – they want more and more customers. Simple but doing it is something else. Your blog has all the information they are looking for. They find it when doing a Google search. Use keywords. A business blog has to have a promotional strategy to get content in front of the right buyer. A targeted market. This takes time, you do need to consider hiring someone to do this type of marketing for you. It’s long-term results. You should optimize your blog for business by using an autoresponder to keep your name and products top of mind with your best clients or customers. Offer a gift, a checklist, an ebook or coupon in exchange for their email address. Your email series should be easy to read, short and to the point as well as personable. The more they get to know you, the more they get that ” Know Like and Trust ” factor and that is huge. They open your emails and they buy what you suggest because they know you and trust you – they like you. 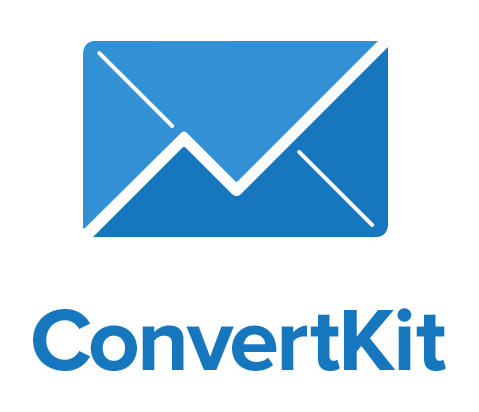 One type of email autoresponder that is free is Mail Chimp or Mailerlite (which I really liked), to start. Email Marketing will grow your business faster than any other marketing medium! I use something more than a free process. I have tried many of them now, Madd Mimi, Aweber, Constant Contact, Active Campaign and ConvertKit. Did you know that some email does not get delivered at all? Last week I came across a very interesting article about testing the deliverability rates of 10 of the most popular email marketing services. The results were surprising. Cut to the chase, the winner was ConvertKit. Just imagine that if 10-20% of your emails never make it to your subscribers. Your email service could be keeping your message from reaching the people who want to hear and as well buy from you. -Set up a welcome email that will send to people who join the list after its activated. Creating an email in an automation will push you to the email designer. Personalize your email through <ConvertKit. You can also select to create your template from scratch. Saving the email will bring you back to the automation. See the site for more. My affiliate link. Do you struggle with content creation ideas? MissingLettr that will take my article and add #hashtags to it. It also spreads parts of your article to social media you have specified. I have several Facebook business/fan pages that I automatically share my blogs with using this. See my link below for my Facebook page where I share my missinglettr links. Another content upgrade I use with my articles is a Video service called Lumen5 that takes my blog and makes a video, with a little of my help. They email you after you publish your blog and tell you your video is ready for you to work on. You add music and tweak the images or add your own. Lumen 5 is a video creation platform Easily create high-quality videos Enter your article link to turn it into a video. The system creates a storyboard. It finds perfect audiovisuals for you or you can add your own. Adds your branding and call to action. Download and share the video. Lumen5 is a video creation platform Easily create high-quality videos Enter your article link to turn it into a video. The system creates a storyboard Finds perfect audiovisuals. Adds your branding and call to action. Download and share the video. There is a paid version or the FREE version. Affiliate links will come later. Google Lumen5. The more thoughtful and targeted the advertisement, the more effective it is. Creating super targeted ads straight from your content is sure to get you results. Facebook loves this and is moving to do more with this model. To improve the user’s experience. What works today when blogging for business is that you market with good, solid content that they find both valuable and worth sharing with others. And when they do, they’ll share it as a result that naturally attracts lots more eyeballs to your posts and product pages. Exploding your sales and profits for your business. Isn’t blogging for business what you want for your business? Not sure how to go about it? Contact me for information on doing so. See my contact page. I offer 20 mins free to chat. A blogger with WordPress /domains & hosting. A certified Social Media Campaign specialist using Facebook, Twitter, Pinterest. Hello Priyam, Welcome to my blog. I agree your blog should be found on Googles search. Many ways to do that. SEO onpage, offpage etc. I do tend to write so everyone can understand how to do things. Do get your Missinglettr out and have a look at it. It should send a hello email after publishing your article, and you just go from there. You have to ok the Facebook entry on the left side. Enjoy! Wonderful outline Kathryn! It’s interesting to see that you use MissingLettr because I tried it last year and found the hashtags and snippets it kept coming up with were completely unacceptable so I dumped it. Now you’ve got me wondering if maybe I didn’t use it right, or at the very least that it might be worth taking another look. Thanks! I think it’s a great tool. You do have the option not to use a #hashtag or not. Since Facebook requires that you ok their copy or add your own is new. Do have another look, you might like it now. I do! visited the Missingletter website…. it looks like a good service. But not yet tested it. Thank you for the comment. Do try Missinglettr. It’s free and do test it over a 6 mth period. Hi Kathryn, nice blog. My first visit here. I like the idea of that video – I believe I saw it on Donna’s place a while back and wanted to sign up. Having something valuable and worth sharing is really key to blogging today.This one is great to share with some folks I know who want to get started blogging. Thank you. I publish weekly as does Donna. I would be happy to share my article with your friends. Actually, Donna and I have written about the same subject this week. I have been sharing her article and she has shared mine. That’s what great bloggers do. You are welcome for the info. Thanks for your comments. What a great outline you have written to blog correctly for business. What sticks out to me personally is using Lumen. I take bits and pieces of my current blog post and do a Lumen video. Whenever I do this I do get a lot of views and/or comments. Of course I put in the comment section “For more info click this link to go to my latest blog post” and give a link. It is not only beneficial but so much fun! Thanks, about my outline. This week we have explored the same subject in different ways. I do love the Lumen videos. I need to add my link to my article on my blog more in the comments. Good point. Yes it is fun, I could spend a lot to time making these types of videos. I have seen your and they are really great! Thanks for your comments today. gobowlinggalley Thank you for your comment about blog for business. I have several articles about this subject. Another post with interesting links to tools that can help bloggers do more with less effort. I’m with Marquita Herald about MissingLettr though, too intrusive for my tastes. Your recommendations though, will have me take another look. Take a look at my Facebook page for my business and see exactly how I used MissingLettr to share there, as well as 3 other social media platforms. As I have 5 Facebook pages this really helps with exposure. It sets it up for a year, free or paid. Thanks for your comments. Great tips for anyone who runs a blog. I personally understand the importance of coming up with blog comment ideas. Like you, Pinterest is my go too if I am feeling stuck. All you have to do is spend some time on the site to get tons of ideas. I also use the search if I need a little bit more ideas. Running a blog requires lots of info that is for sure. Love Pinterst and you are correct the search is by far least understood. It’s really a search engine much the same as Google. Thanks for your comments, enjoy your day! This is a great tutorial. Obviously, the beginner would benefit greatly but the more seasoned blogger can also gain much insight and food for thought. Thanks! That’s great I was trying to balance both the beginner as well as the more seasoned blogger here. Insight and food for thought! I’ll take that gladly. Thanks for commenting! Everyone is willing to build a business online and that’s what bogs are for. I have been blogging for a long time and successfully built a living out of blogging. Having a self-hosted blog is the first thing to do. You are right, a blog enhances your business. You can supply a lot of information on the subject that the visitor is looking for with a blog. Building a living from blogging is not easy. Congratulations Thanks for your comments. Hey Kathryn! Awesome share my friend! I just started using MissingLettr last month, but really haven’t seen a whole lot off change! Cute video by the way. Now it is time for me to go and check out this Video service called Lumen5.. I am not sure how long it will take for Missinglettr to make a difference, I do know that it shares your posts for a year. You will like Lumen5, Janice Wald has a great article about it.Thanks for your comments. Your blog is a way to build a following, for clients, and customers of whatever type of business you have, even offline brick and mortar businesses as well. You brought out some important points in this regard. Yes, as you said it should have all the information the visitors looking for. And of course, the promotion strategy is also very vital in this regard. You brought out all major things required. Lumen5 is indeed a wonderful option to create our videos, I created one with one of my posts with the free option. I think their paid option may work well. Our PAC member Reji Stephenson recently published a guest post on our site about this subject under the title: The Best Techniques To Turn Your Blog Into A Business. Thank you for your excellent comments on my article, Do you Blog for Business. Glad you liked Lumen5. I know Donna Merrill uses it quite a lot and Janice Wald did a very nice post on her site about Video. I will check out Reji’s guest post that you mentioned. Thanks for that, and have a wonderful day to you too! Awesome one! These days it’s quite mandatory to blog for the business growth. A detailed information should be provided about the product as said what the customers are looking for. Proper research may help out. A blog can connect with many valuable customers and that strategy can make more sales.. These days getting information to your client via a blog is just that – mandatory. Connecting with customers today is indeed valuable. I have been using blog for my business and it has helped my business grow to great extent. I was able to target long tail keywords easily with my blog. Using keywords and if it’s for a specific thing such as for travel destinations as on your blog, long tail keywords work well. This is just what I needed today my friend! Awesome share! You are welcome thanks for all the comments!! I hope my next article will be of interest. I post weekly. Thanks for your comments. Whether it is a small business or big brand blogging has become a necessity for any offline business. Not only that it has also proved useful for online businesses also. A small business can reach outstanding number of customers by having an online presence in the form of a website/blog. Combining these with social media can boost your customer base exponentially. Any business must use a lead capture pages along with an autoresponder to caputure their leads. Your ideas are awesome. Thanks for sharing. That was very well written. I would like to quote you for my business if you don’t mind. This is exactly what my business, marketing offline online is all about. Thanks for your comment, I appreciate it! A very good article for the beginner, with nice tips. Thanks for your comment on my article Do You Blog for Business.